ሀዘን ማወጁ ጥሩ ነው። በ97 ምርጫ በእናት ሀገራቸው በገዛ ወንድሞቻቸው፤ በራሳቸው ገንዘብ በተገዛ ጥይት ለረገፉት ኢትዮጵያዉያን ስለምን የሀዘን አዋጅ ሳይታወጅ፧ስለምን መታሰቢያ ሳይደረግ? እግዚአብሔር አይታለልም!!! It really sad story and should be thought in prayers. "ለመኾኑ ቤተክሲያኗ ከልቧ ናት ወይ? ልብ አላት ወይ?" why do think as a real religious leader? you blame and curse when the government orders you to do so. but allmighty god knows what you are doing. you never ever hide from him.Did't you know howmany civel peaple were killed in 1997,and in Jimma ?why the church didn't annonce at that moment? 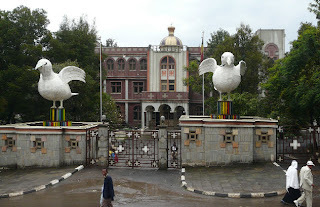 The cases in 1997 and in Jimma are different stories and already passed. The church should have denounced at that time as well but failed to do so. But there is still time if the church wants to to do such things in the feature. Even thought we don't like them to happen again, they will come even in the feature. We need the church to act accordingly according to Holy Bible and Christian Teachings. "He who is able to pray correctly, even if he is the poorest of all people, is essentially the richest. And he who does not have proper prayer, is the poorest of all, even if he sits on a royal throne." Orthodox Christians engage in both corporate and personal prayer. One’s individual prayer life is balanced with participation in the liturgical services of the Church where the whole community gathers for prayer and worship. 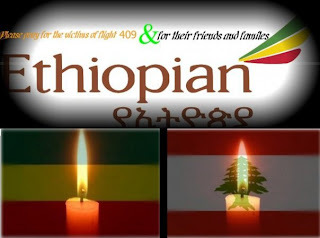 We are very sorry to hear the News of Ethiopian Airlines crash . May pleasant memories help to carry all the families through this difficult time. Our prayers and thoughts to the families of all. Memory be Eternal! But I don't think it is a weather. There is no way of blowing on the air. I feel like it was planned. There was no thunder. No, technical problems don't blow an airplane on the air. That is an organized attack. If you are Christan, realy I feel sick to read that kind of words from you. You said 'Bozene' God knows who is bothene for our church and country. what are those two flags and the candele? is that oromo flag or lebanon flag? if that is oromo flag, shame on you ethiopiawiyan!! how could you compare yehager bandera and yekilel bandera?